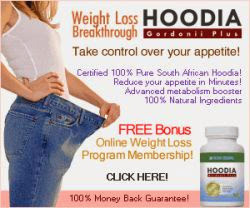 Hoodia Gordonii Plus Appetite Suppressant contains 100% pure South African Hoodia plus other weight loss ingredients. With Hoodia Gordonii Plus you can be assured of getting the real, organic Hoodia ingredient. That's because our Hoodia is approved by the Western Cape Conservation Authority of South Africa, and is certified to be 100% authentic.